Specializes in civil and commercial litigation. She also advises in matters pertaining to consumer law. 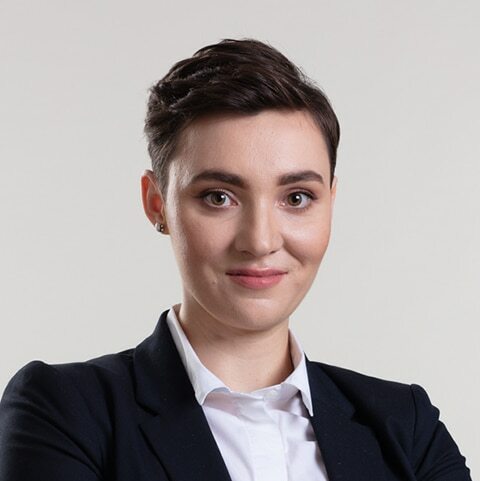 Prior to joining SPCG team, she worked in one of the Warsaw law firm and in the Law Office of Poczta Polska S.A.
She graduated from the law at the University of Warsaw with a very good result. In the academic year 2014/2015, she got the Rector's UW scholarship for the best students. Since January 2017, trainee legal counsel in the District Chamber of Legal Counsels in Warsaw.